For Over 66 Years, we've serviced companies large and small. 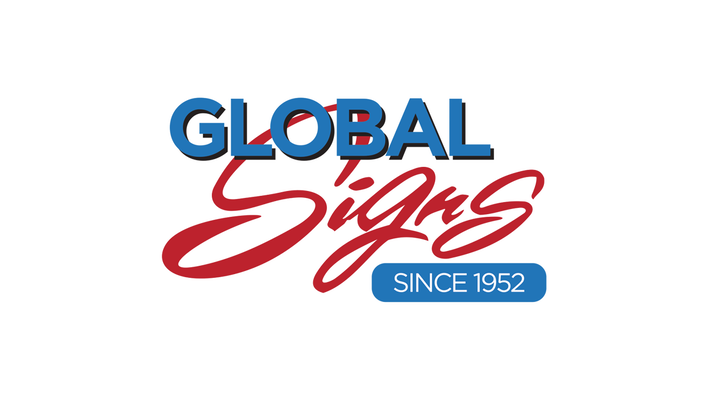 Drawing on more than a half century of industry experience, Global Signs in Peachtree Corners, GA, is recognized in the Atlanta area and throughout the Southeast as a leader in commercial, residential and graphic sign design, fabrication, installation and maintenance. ​Global Signs is family owned and operated so you’re sure to receive the most genuine and caring service. By being a full-service sign and graphics company, we have total and exclusive control over quality, production and honoring your deadlines. Whatever kind of sign you are looking for you came to the right place. Our vast range of products include exterior/interior illuminated and non-illuminated signs as well as banners, yard signs, vehicle graphics and much more. Whether you are a large chain or a small business, Global Signs offers everything needed to complete your exterior and interior signage program, including the design, manufacture, project management, delivery and installation of your custom residential and commercial signage. ​WE CAN DESIGN It, CREATE IT AND INSTALL IT. Global Signs USA of Atlanta, Georgia is a full service sign company that can help with any type of project, whether it is temporary signs for an occasion or a permanent stone monument for a business. We can help direct traffic and advertise for a community event or brand and create a street presence for a new business. Barrow, Bartow, Butts, Carroll, Cherokee, Clayton, Cobb, Coweta, Dawson, DeKalb, Douglas, Fayette, Forsyth, Fulton, Gwinnett, Hall, Haralson, Heard, Henry, Jasper, Lamar, Meriwether, Morgan, Newton, Paulding, Pickens, Pike, Rockdale, Spalding and Walton counties.